When we hear the word casino, the first thing that comes to mind is gambling. While gambling is the main attraction, many casinos are equipped with other activities, too. If the establishment is small, these may go no further than a bar and snack station. Larger casinos, however, often have a host of other services onsite including restaurants, day spas, and even hotel suites. In this article, we explore some of these attractions in more detail. As well as their gambling services, most casinos have some great eating options. Years ago, the only thing on offer was a buffet. However, the casino industry has started to realise that some people prefer other dining options. With this in mind, many casinos offer a variety of eateries ranging from fast food to fine dining. Some of the larger casinos have started to recruit top chefs to run their restaurants. Not only does this provide a great meal for casino players, but it also attracts new customers into the casino who want to enjoy a top-class meal. If you’re planning to visit the casino frequently, it’s worth signing up for a player’s card. This membership will allow you to collect points as you play and exchange them for goodies when you’ve accumulated enough. 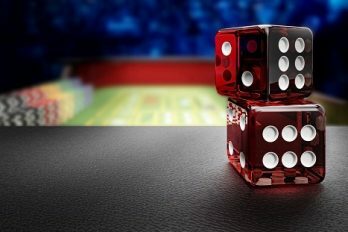 What you can exchange them for will depend on the casino, but free betting credit, discounted meals, and lavish hotel stays are often on offer. Better still, your player’s card will entitle you to other comps, too. These often include free or heavily discounted meals at the casino restaurants. Even if you’re not a regular casino goer, it may still be worth enquiring about the player’s card. In some cases, you may be eligible for comps from the get-go! Almost every casino has a bar – even the smaller ones. Many of the larger establishments have multiple bars; in these cases, some may have the option of gambling whilst you drink. Much like the variety of restaurants, there are all different types of casino bars. Some of the larger casinos are opening high-end bars to attract new people to the establishment. In some rare cases, you may even find a nightclub on-site. If you’re looking for a new place to drink, check out the options at your local casino. Although shopping isn’t associated with most casinos, many establishments have a variety of gift shops. If the casino has guest suites on-site, they may even have an entire shopping section attached to the hotel. In Las Vegas, some of the hotels are connected to one another by long stretches of indoor shops. In most cases, these offer everything from alcohol to clothing. Years ago, it was thought that a spa visit was something that only women did. Today, spas are designed for both men and women to enjoy both individually and as a couple. Interestingly, some of the most comprehensive day spas are found in casinos. Originally, the gambling industry introduced spa services for women to enjoy whilst their husbands used the casino. Now, both men and women use the spa services during their stay. Instead of an hour-long massage, you can now spend the entire day being pampered and taken care of. As well as receiving treatments, you can relax in aromatherapy rooms and lounge in the pool. If you book a full day, lunch may well be included in the price. If this is the case, head down to the restaurant at midday to enjoy your complimentary meal. The price of the spa services will vary between casinos. If this is something you’re interested in, do some research beforehand to find the best deal. Some of the best shows in the world are found at casino resorts. Although Vegas is famous for its entertainment, other casinos around the world also book popular headliners. This is so common that many people now plan their trip based on the show or acts that are performing. 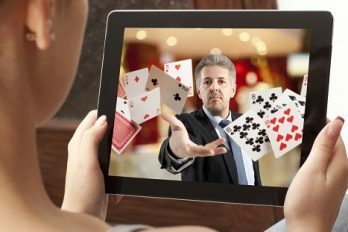 If you’re hoping to catch a show, check the casino website before you book to see what shows they’re hosting. If you’re visiting a place with many casinos, such as Las Vegas, you can easily jump in a taxi and travel to another establishment to see a show. Before your visit, it’s also worth enquiring about a players card. As well as bagging a restaurant discount, you may even get some money off the shows. Not every casino has large exhibits, but many are realising that a quality display attracts new customers. If you’re staying in Vegas, many of the casinos have their own theme. In these cases, the establishment may have an exhibit based around that. For instance, many of the Native American Indian casinos have exhibits showing the history of the tribe that the theme is based upon. For more information on casino exhibits, run a quick Google search before your visit. Many of the larger casinos have a sports book section where you can gamble on games and sporting events. Some of these are equipped with a seating area with televisions displaying the games. Even if you don’t want to place a bet, you can still take a seat and enjoy the game! During big games, the seating area tends to get busy; if you enjoy a bustling atmosphere, this makes the game even more enjoyable. With so many casinos available, the competition is fierce. Because of this, establishments look for ways to entice customers into their casino. To appeal to everybody, many casinos now have other attractions in addition to gambling. This means that everybody can enjoy a casino visit, even those that prefer not to place a bet. 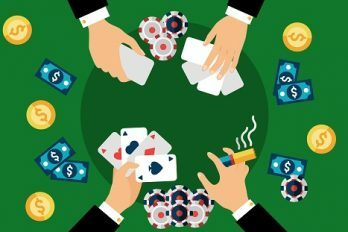 Why Are Online Casinos So Successful?